Kathryn MacDougald, my co-executive producer of A Gardener's Diary on HGTV, always teased me about my idea of having a series where we would show beautiful garden scenes and then deconstruct them. That is, we would have a gardener point out, say, an arch covered in roses leading to a lushly planted shade garden. 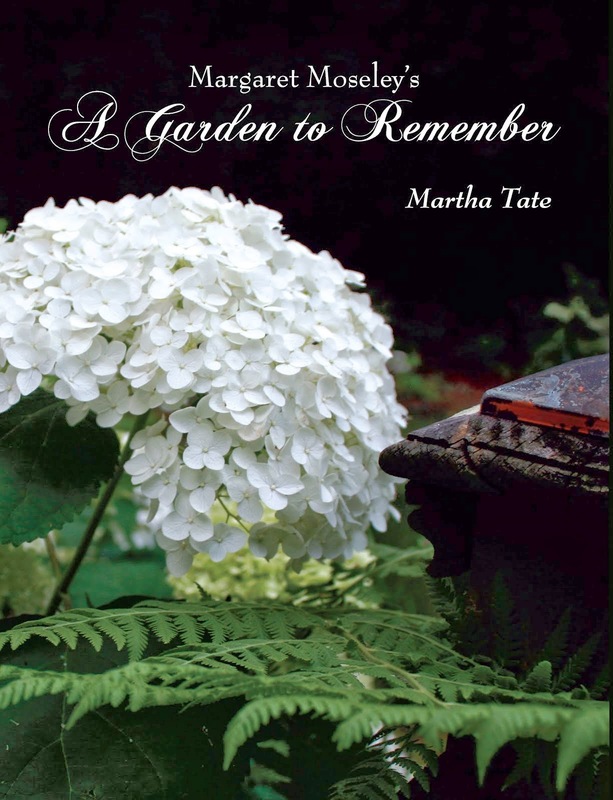 The featured person would reveal that she had used a simple iron arch she'd bought through a mail order catalog, had planted a single climbing 'Iceberg' rose and a jackmanii clematis to grow up together, and made a gravel path lined with tiny hostas, backed by ostrich fern and boxwoods. The viewer then, would be able to re-create the scene and know exactly how to translate the vignette to his own back yard. We never pitched that show, but we've continued to laugh about my obsession with always wanting to deconstruct everything I see. So, what does this have to do with the above photo? I'm about to deconstruct this tiny scene at the back of my entrance hall. I sort of thought it was pretty when I absent-mindedly threw it together last year. I plan to make the same little tableau this year, but it will be more carefully arranged. First of all, ignore the place in the wall that was never repaired when a pipe broke on the washing machine upstairs. That's not part of the deconstruction, but if you noticed it, I wanted you to know what happened. Now, look at the table. It has a faux-painted top, and when I saw it in an antique shop some twenty years ago, I was willing to sell my soul to the devil to have it. I was so proud of it - dark green legs and drawers that all looked old and this wonderful marbelized top, worn from its hundred and fifty years of existence. It was all great until a decorator was at a party at my house and said condescendingly, "Oh, I remember when (name of antiques dealer) had those tables." THOSE tables? This wasn't a one-of-a-kind from a village in Provence? I was crestfallen, especially knowing that it had been criminally overpriced. Then, there are the decoys. My husband collected these for years. Speaking of obsessions, he always wanted a merganser (that's the one with the pointy thing on the back of his head). When he finally found one at another collector's sale, he was beside himself. Not a week later, he noticed that the beak had been broken off. The cleaning lady had come and apparently dropped it on the floor. It was not a pleasant moment, and he ignored the poor thing from then on. These aren't his best ducks, and you don't see his prized geese. And, the shore bird I bought at a flea market. It's neither old or very well done, but I had always wanted one. Now, for the arrangement. Inside that Take it for Granite planter from Home Depot (no joke; that's the name of the company that made this from some sort of lightweight, composite material) are five clear glasses from the cupboard. They're filled with water and hold boxwood and variegated pittosporum clipped from my yard. And there you have it. This year, I'll choose some better ducks, and I'll be more careful with the greenery. I've just planted another variegated pittosporum, so I should have enough plant material to last many years. Maybe I'll even plant that imaginary garden scene with the clematis and the roses and deconstruct that for you sometime in the future. That would be a lot more interesting. Martha, That idea for a deconstruction show is a marvelous idea!! I love the photo and was delighted to hear how you 'deconstructed' it. I have a similar shape container in copper (verdi gris now) and never thought to use small containers of water in it; always thinking I needed Oasis and wondered if the copper would react with the cut flowers or foliage (metal is supposed to shorten their already short lives, and I wasn't sure it would be worth the effort.) Merci bien!!! Great notion, a deconstuction show. I needed to know about the glass containers of water, too. Please deconstruct but not disparage. The ducks are lovely to a non-collector. The table is precious and none of us know anyone who has another. I missed this when you published it. The story of the decoy being broken reminds me of a story from my family. As you may know, Fairburn once had its own Coca-Cola bottling plant. I'm sure you remember that "back in the day" Coke bottles had the town where they were bottled printed on the bottom. One Christmas my mother found two Fairburn Coke bottles for sale somewhere. She kept one and gave the other one to her brother, Ben Camp, who lived on Tuxedo Rd., in Atlanta. Uncle Ben put the bottle on the ledge of a window over the kitchen sink. When he got home that night the bottle was missing. Seems that the maid, who came while he was at work, thought it should have been in the trash, so she put it there, and the garbage collectors came that day!